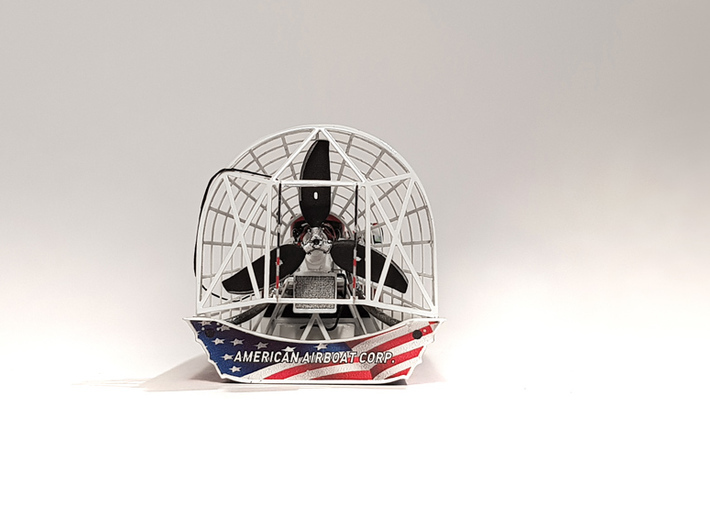 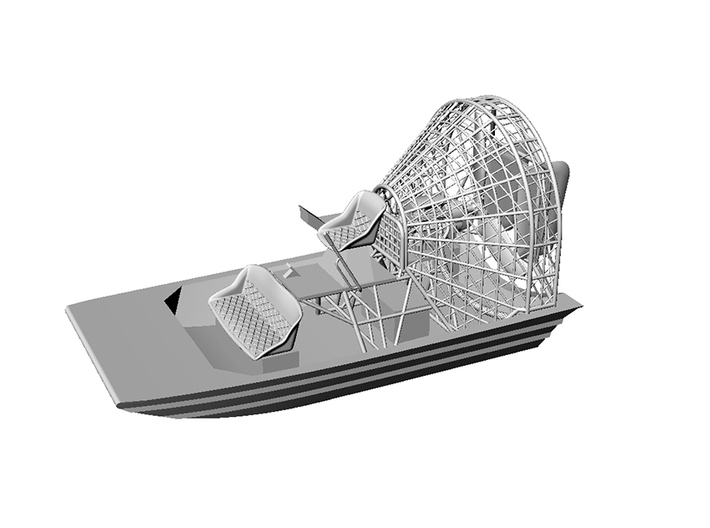 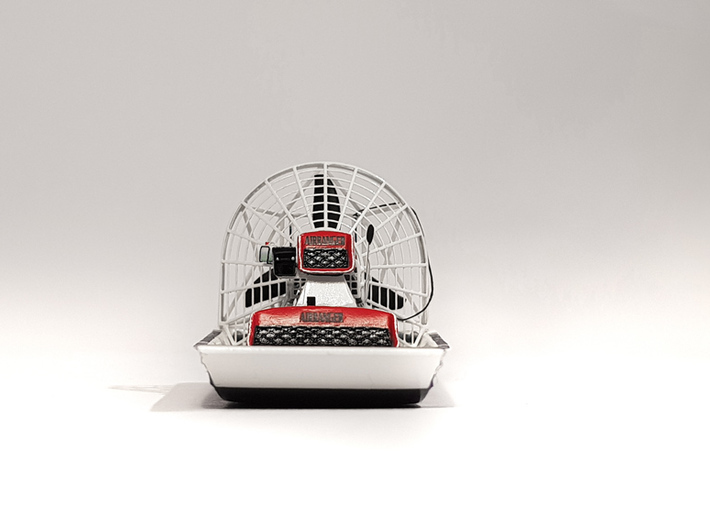 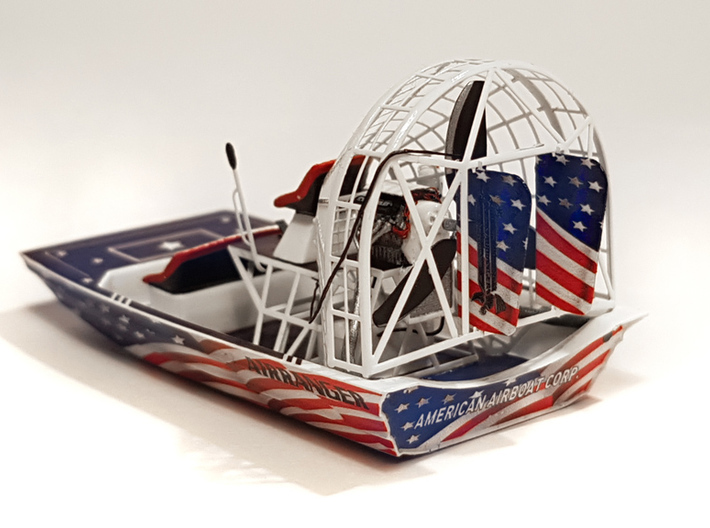 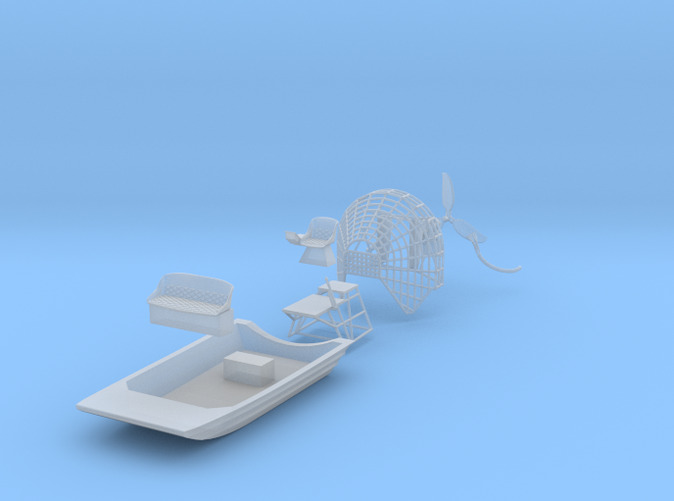 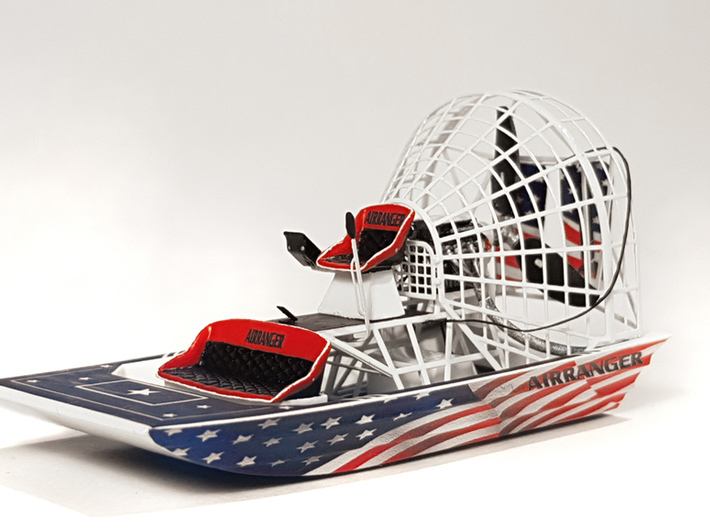 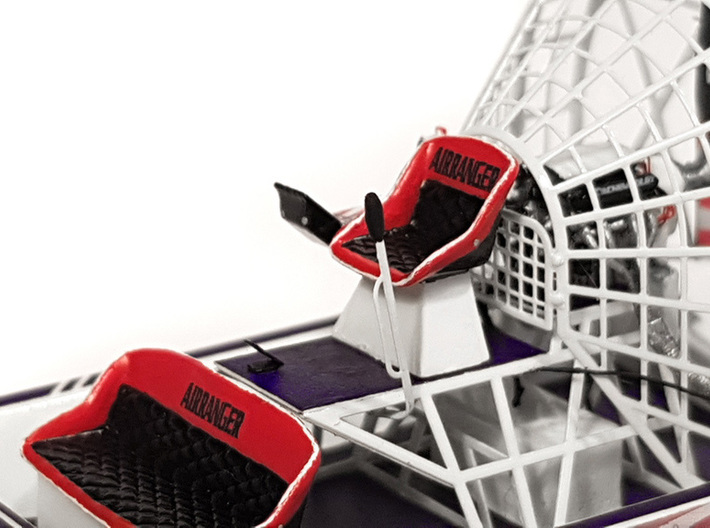 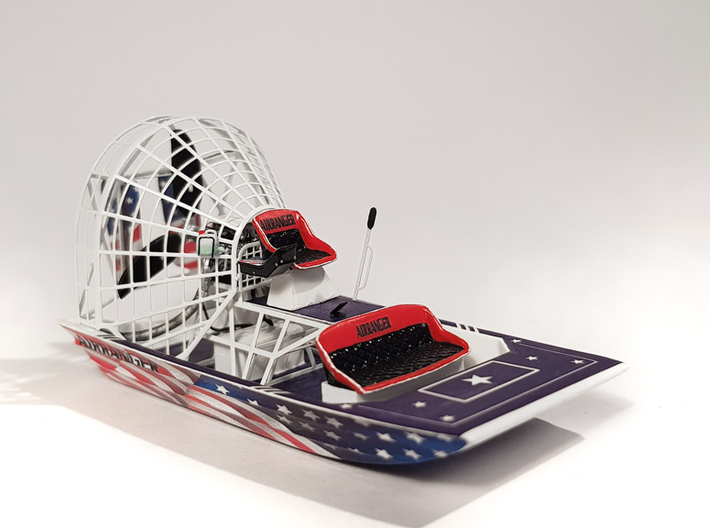 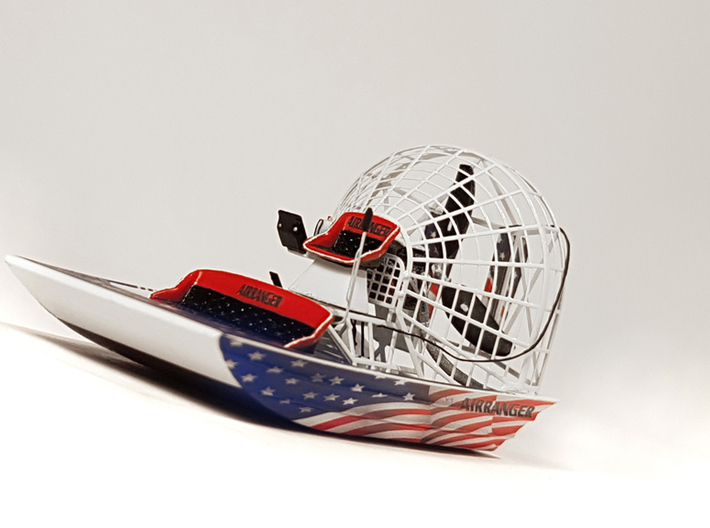 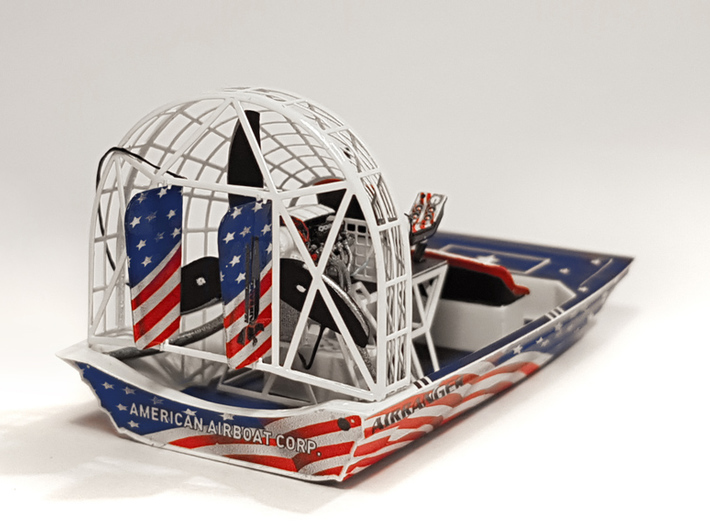 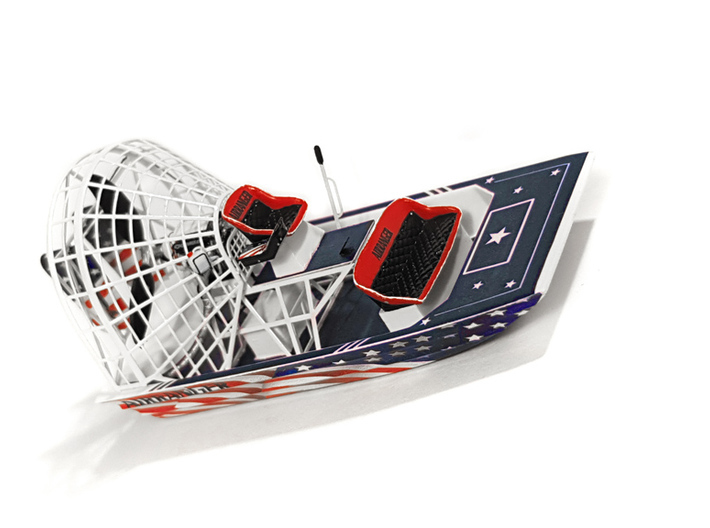 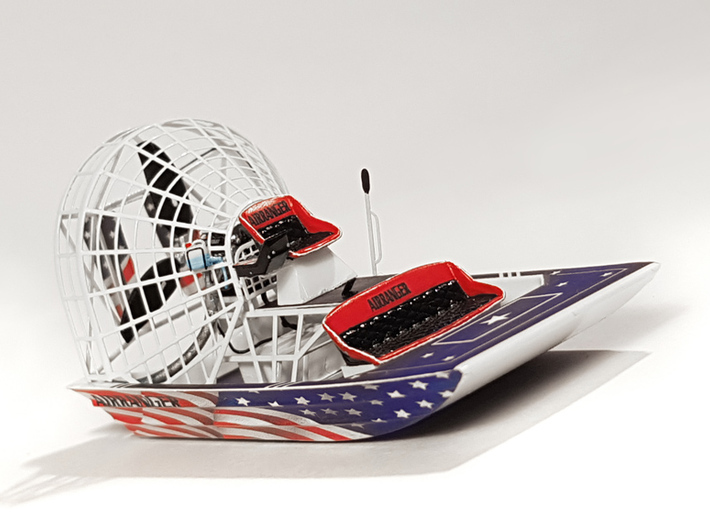 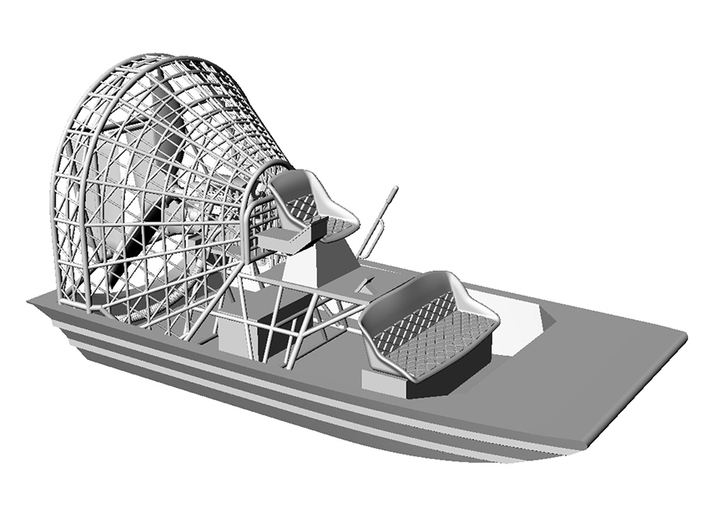 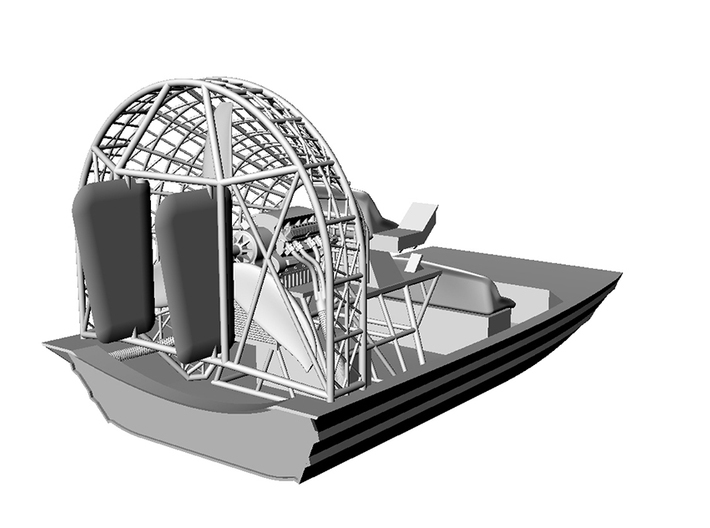 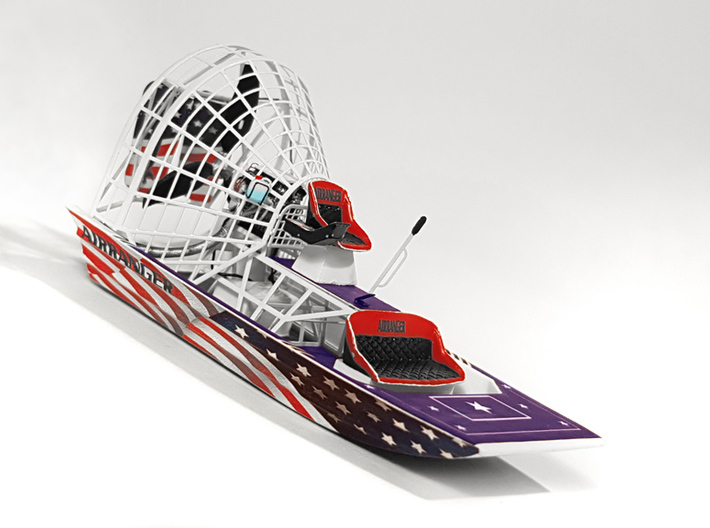 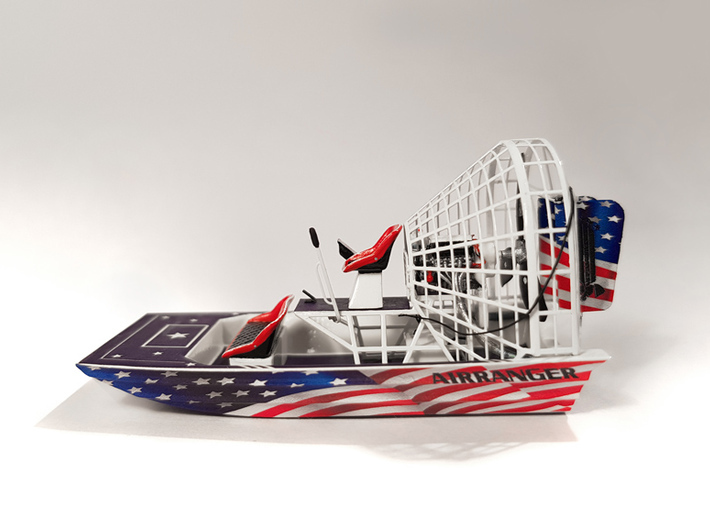 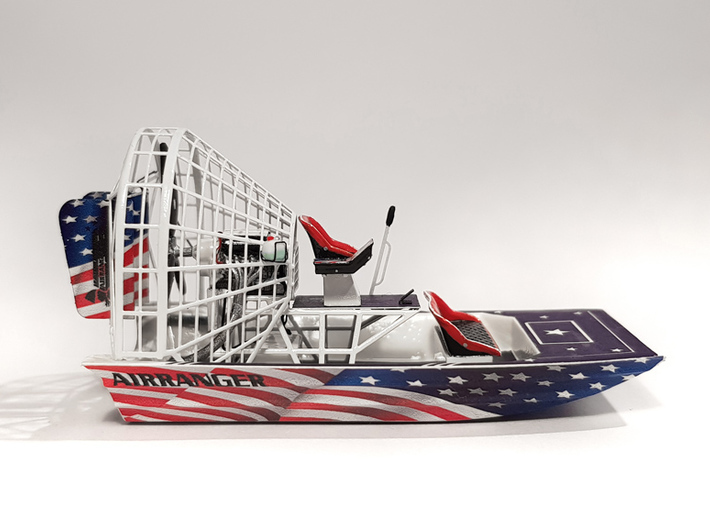 The airboat consists of a realistic hull with all metall characteristics, 1 driver seat with control box, 1 passenger double seat (all seats even have sew pattern), the framework for motor, cage and driver seat, the cage for the propeller, 2 rudders and the rudder stick. 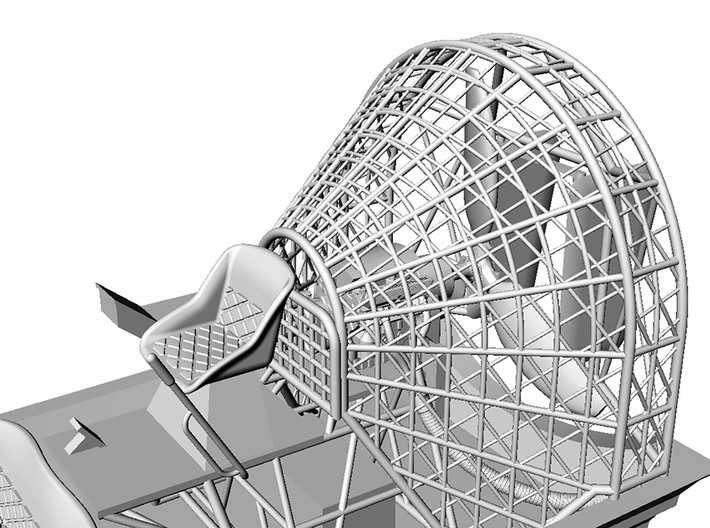 The model is extremely detailled and sophisticated. 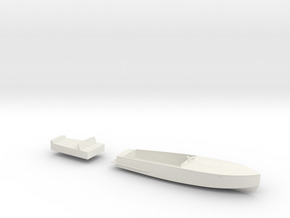 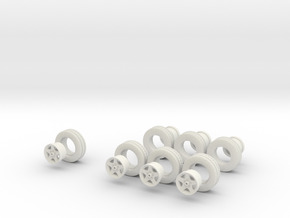 For building the whole model, you will need part 1 and part 2. 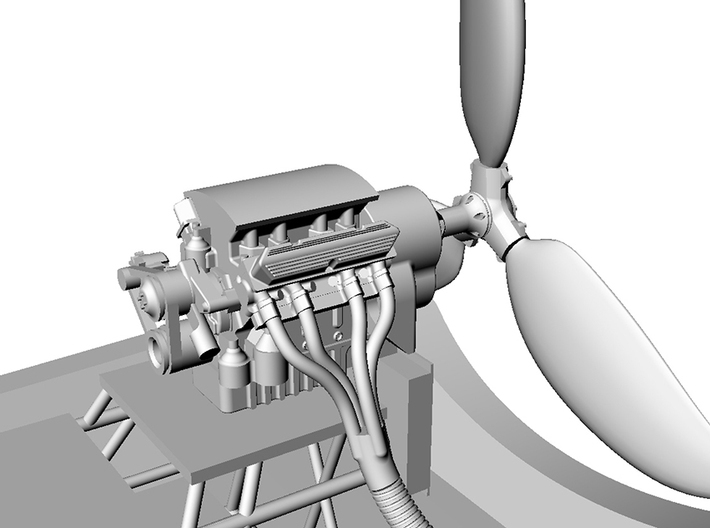 Part 2 contains also a realistic V8 muscle car engine, the exhaust pipes and the propeller. 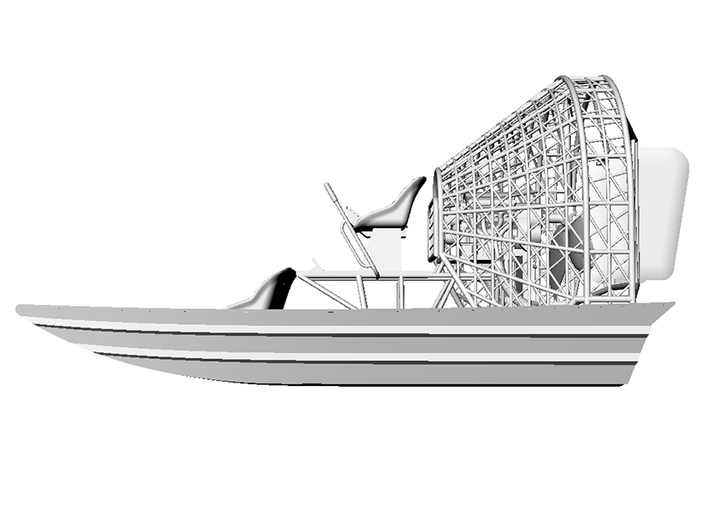 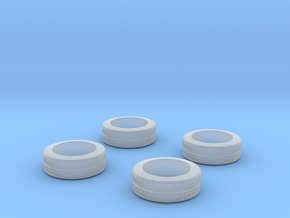 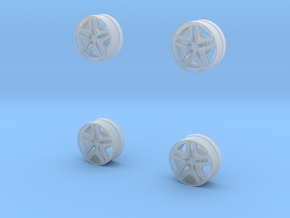 Realistic decals and photo edged parts will be available separately.